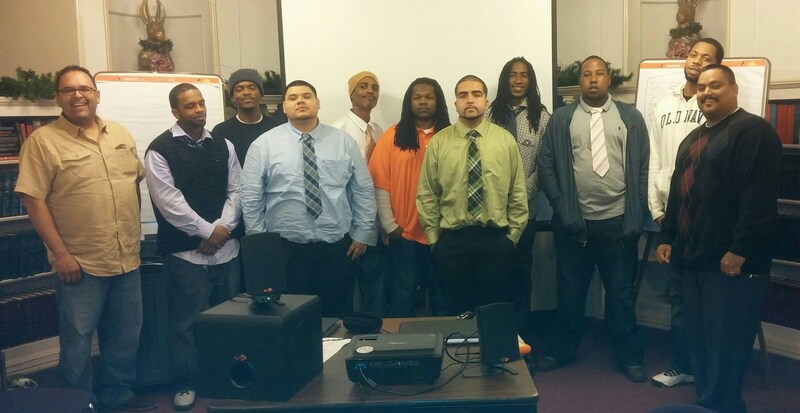 On Tuesday, December 16, ten Oakland Unite program participants graduated from a six month life skills course at The Mentoring Center (TMC). In this course the participants learned about critical thinking, anger management, and basic professional skills (like how to put on a tie). Upon graduation from the course all of the participants received a certificate. In addition, six of the participants are now employed, and two are attending college. Ceasefire Case Managers Emilio Mena and Javier Jimenez (pictured here with the participants) were impressed with the level of dedication these individuals showed, especially because all the participants want to continue to take classes at TMC even after graduation. Oakland Unite would like to recognize these program participants for their hard work and commitment to making positive life changes. Congratulations graduates!!! The graduates with their Case Managers (Emilio Mena far right, and Javier Jimenez far left).